We are so proud to team up with SCC and offer fun dance classes for ages 3+ (only open to SCC clients). 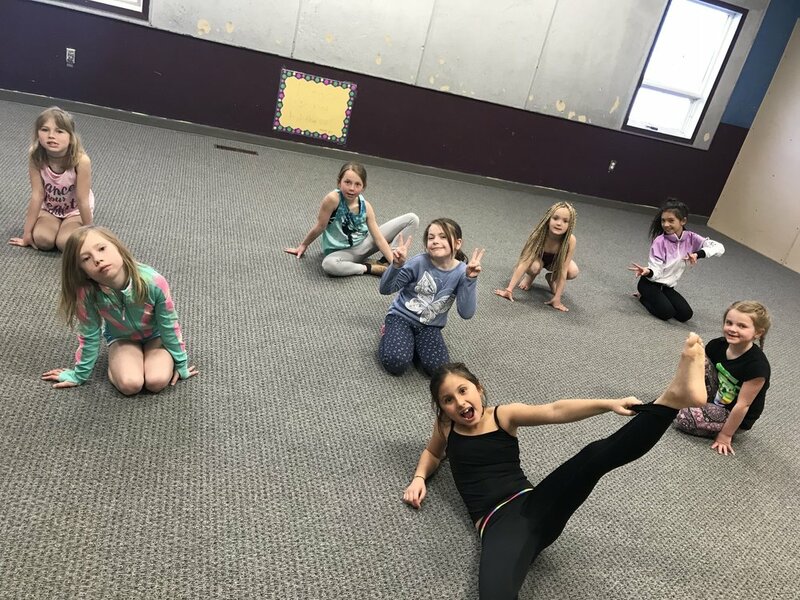 As these classes are "Fusion" classes, it will introduce the dancers to multiple styles, including Ballet, Jazz, Lyrical, Hip Hop, Acro, and Musical Theatre! We will focus on balance, coordination, flexibility, and building a strong foundation, while allowing the dancers to have fun and be creative! For age 3+ looking to start dance and discover balance and creativity through movement. Offering a fun, energetic, and interactive environment to keep our dancers involved and busy during their class each week. From dance games, to technical exercises, to tumbling and beyond, this class helps increase the extent of body movement to improve coordination, control, and muscle awareness. And as this is a "Fusion" class, we will strive to expose the dancers to various styls including Jazz, Ballet, Lyrical, Hip Hop, Musical Theatre, and Acro while having a ton of fun!!! What are the lengths of each class? *There will be 21 classes in total, Jan. 9th through Jun. 12th. NO classes on February 20th or April 24th. What is the required attire? Fitted, stretchy clothes (can wear tan tights and a black or pink leotard with a black or pink skirt or shorts if you have them); preferably tan jazz or pink ballet dance shoes (or black for the boys) as runners are too stiff (we do have a ton of second hand ones for sale at the studio!). What is the required hair? Am I allowed to sit in on the class? We will have a Parent Viewing Week in December but please feel free to let us know if you'd like to pop in any other time! Does my dancer get to participate in Recital? Absolutely. We will be including all of our Winter/Spring paticipants in our Recital. If you are not available or interested in participating in Recital, please provide notice prior to January 9th. What are the costs of the Recital Costumes? Our SCC dancers pay no more than $75.00 per costume, due February 1st.